This post was written by Kimio Honda, Studio Manager in WCS’s Exhibition and Graphic Arts Department. 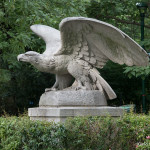 This is part 1 of 2 posts on eagle sculptures at the Bronx Zoo and beyond. Lions and eagles, as kings of beasts and birds, may be among the most common subjects of sculptures in public spaces. 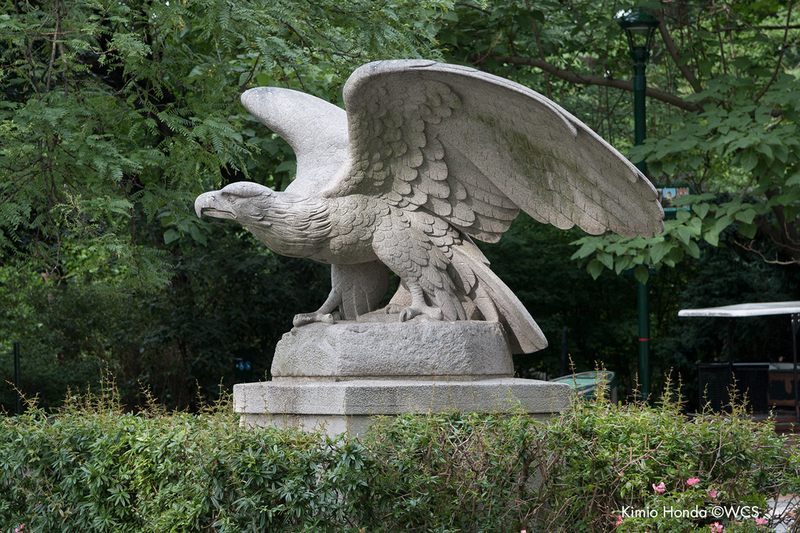 It is no surprise then that we find several eagle sculptures at the Bronx Zoo. Let’s take a look at them, starting with the oldest one.